The Endocrine Society has released new guidelines (2019) for clinicians treating older adults with diabetes, which have been published in The Journal of Clinical Endocrinology & Metabolism. To establish the guidelines, 2 systematic reviews were performed. The first review focused on whether treatment with antihypertensive pharmacologic therapy led to improvement in patient-reported outcomes in older adults and included 19 randomized trials. The second review focused on whether treatment with lipid-lowering pharmacologic therapy led to improvement in patient-reported outcomes in older adults. This review included 23 randomized trials. The Endocrine Society presented the following guidelines for treating older adults (≥65 years) with diabetes. For patients aged ≥65 years with newly diagnosed diabetes, endocrinologists or diabetes care specialists should work with a primary care provider, a multidisciplinary team, and the patient to develop diabetes treatment goals tailored to the patient. If a patient aged ≥65 years has type 1 diabetes, requires complex hyperglycemia treatment, has recurrent severe hypoglycemia, or has multiple diabetes complications, an endocrinologist or diabetes care specialist should be primarily responsible for the patient’s diabetes care. Fasting plasma glucose and/or hemoglobin A1c (HbA1c) screening should be used to diagnose diabetes or prediabetes in patients aged ≥65 without known diabetes. If a patient meets the criteria for prediabetes by fasting glucose or HbA1c, a 2-hour glucose post oral glucose tolerance test measurement should be obtained. Patients aged ≥65 years who have prediabetes should adhere to a lifestyle program such as the Diabetes Prevention Program to delay the progression to diabetes. Before determining treatment goals and strategies, assess the patient’s overall health and personal values. Periodic cognitive screening should be performed to identify undiagnosed cognitive impairment. If a patient has a diagnosis of diabetes and cognitive impairment, medication regimens should be simplified and glycemic targets should be tailored to improve compliance and prevent treatment-related complications. Outpatient diabetes regimens should be designed to minimize hyperglycemia. For patients treated with insulin, frequent finger stick glucose monitoring and/or continuous glucose monitoring is recommended. For ambulatory patients, lifestyle modification should be the first-line treatment of hyperglycemia. Assess patients’ nutrition to detect and manage malnutrition. For patients with frailty, diets high in protein and energy are recommended to prevent malnutrition and weight loss. For patients who cannot achieve glycemic targets through lifestyle modification, avoid the use of restrictive diets. Instead, focus on limiting the consumption of simple sugars if the patient is at risk for malnutrition. Metformin should be the initial oral medication used for glycemic management, in addition to lifestyle interventions. For patients who have not achieved glycemic targets with metformin and lifestyle changes, other oral or injectable agents and/or insulin should be added. For patients aged 65 to 85 years who have diabetes, the target blood pressure is 140/90 mm Hg to reduce the risk for cardiovascular disease, stroke, and progressive chronic kidney disease. For patients with diabetes and hypertension, an angiotensin-converting enzyme inhibitor or an angiotensin receptor blocker should be used as first-line therapy. An annual lipid profile should be performed. Statin therapy and an annual lipid profile should be used to achieve the recommended levels for reducing the risk for cardiovascular disease and all-cause mortality. If statin therapy is inadequate, alternative or additional treatments such as ezetimibe or pro-protein convertase subtilisin/kexin type 9 inhibitors should be initiated. For patients with fasting triglycerides >500 mg/dL, fish oil and/or fenofibrate is recommended to reduce the risk for pancreatitis. For patients with diabetes and congestive heart failure, treatment should be in accordance with practice guidelines for congestive heart failure. Oral hypoglycemic agents should be prescribed with caution, including glinides, rosiglitazone, pioglitazone, and dipeptidyl peptidase-4 inhibitors. For patients with diabetes and a history of atherosclerotic cardiovascular disease, low-dose aspirin (75 to 162 mg/day) should be used for secondary prevention of cardiovascular disease. This should be prescribed only after careful assessment of bleeding risk and collaborative decision-making with the patient, family, and other caregivers. Annual comprehensive eye examinations should be performed to detect retinal disease. For patients with diabetes and advanced chronic sensorimotor distal polyneuropathy, treatment regimens should minimize fall risk, such as the minimized use of sedative drugs or drugs that promote orthostatic hypotension and/or hypoglycemia. Patients with diabetes and peripheral neuropathy with balance and gait problems should be referred to physical therapy or a fall management program in order to reduce the risk for fractures. Patients with diabetes and peripheral neuropathy and/or peripheral vascular disease should be referred to a podiatrist, orthopedist, or vascular specialist to reduce the risk for foot ulceration and/or lower extremity amputation. Patients with diabetes who are not receiving dialysis should undergo annual screening for chronic kidney disease with an estimated glomerular filtration rate and urine albumin-to-creatinine ratio. For patients with diabetes who are in poor health and have a previous albumin-to-creatinine ratio of <30 mg/g, additional annual albumin-to-creatinine ratio measurements are not recommended. For patients with diabetes and decreased estimated glomerular filtration rate, limit the use and/or dosage of certain diabetes medications to reduce the risk for adverse effects and complications associated with chronic kidney disease. For patients in hospitals or nursing homes, establish clear glycemia targets while avoiding hypoglycemia. 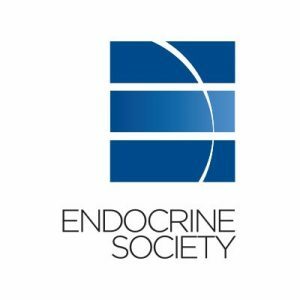 The Endocrine Society recommends targets of 100 to 140 mg/dL fasting and 140 to 180 mg/dL postprandial. For patients with diabetes and a terminal illness or severe comorbidities, diabetes management strategies should be simplified. For patients without diagnosed diabetes who have been admitted to the hospital, routine screening for HbA1c should be performed to ensure detection and treatment where needed. “In recognition of the broad nature of the topic, the Writing Committee has identified topics deemed to have the greatest impact on the overall health and quality of life of older individuals (defined here as age 65 years or older) with diabetes,” the researchers wrote. LeRoith D, Biessels GJ, Braithwaite SS, et al. Treatment of diabetes in older adults: an Endocrine Society clinical practice guideline. J Clin Endocrinol Metab. 2019;104(5):1-55.